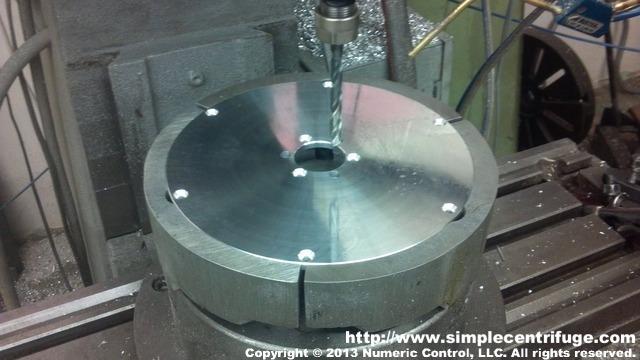 Lid is drilled on CNC mill. Pie jaws ensure repeatability across all parts. Next it will be deburred by hand.